Jenni Murray presents the programme that offers a female perspective on the world. 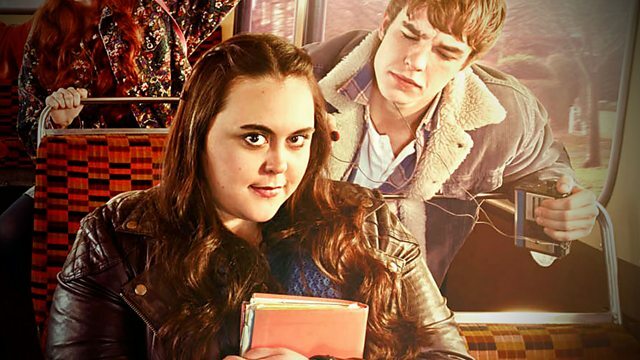 Sharon Rooney on starring in TV's My Mad Fat Diary, and what's the appeal of pansexuality? Sharon Rooney on starring in TV's My Mad Fat Diary, the appeal of pansexuality and what it means to people who practice it, why we get dressing up so wrong with Zoe Williams and fashion blogger Sasha Wilkins, do men have the answers to getting more women elected to the Conservative Party? The campaign to get recognition for nurses who served in WW1. Conservative Women: Do Men Have The Answers? Are men the answer to getting more women elected for the Conservative party? In recent weeks PM David Cameron has faced a series of headlines about his problem with women, from their absence on the front bench to women standing down at the next election. Joining Jenni is MP Brooks Newmark, who is heading a mentoring campaign to get more women selected by his party. The scheme sees would be female candidates face mock interviews and tough questioning by male MPs, designed to help them get through the selection process. With London Fashion Week, the Baftas, and the Brits all happening at the same time, we will be seeing numerous sparkling stars in an array of designer gowns. We discuss some of the dresses seen at Sunday’s Baftas, including some of the fashion faux pas. Many of us have had that ‘What was I thinking? !’ moment, so we look at some of the mistakes we make when we try to buy that special dress. To discuss, Jenni is joined by Guardian columnist and journalist Zoe Williams, and by fashion blogger Sasha Wilkins. Actress Sharon Rooney is the star of E4’s comedy drama My Mad Fat Diary, in which she plays Rae Earl - an overweight, 16 stone, troubled teenager, dealing with insecurities, body image, and mental health issues, growing up in the 1990s. She joins Jenni to talk about the role, how she relates to the part, and the importance of portraying these teenage issues on screen. During the First and Second World Wars, at least 1700 nurses gave their lives in service, yet there is no official memorial to them. Yvonne McEwen is a historian at Edinburgh University, and a former nurse, who is leading a campaign for an official memorial for the nurses who served in the wars. During her interview with Woman’s Hour, rapper Angel Haze describe herself as “pansexual,” and told us that for her, sexuality is fluid. Pansexuality rejects both sexual and gender classification, but what does mean in practice? And how does it differ from bisexuality? To discuss, Jenni is joined by Lucy Brisbane, who identifies as pansexual, and by Emily Dubberley, author of Garden Of Desires: The Evolution Of Women's Sexual Fantasies.